I’m pretty sure everybody has heard of Sudocrem before, a multi purpose cream that a lot of people think is mainly used on babies. Well you’ll be pleased to hear it can actually do wonders for your skin! Not until very long ago, I thought Sudocrem* just came in a tub and was a multi purpose cream, used on babies, rashes etc. I was wrong however, you can actually buy a tube of Sudocrem in Boots for about £1.99. I believe this little tube of goodness is actually targeted at just skincare problems. One thing I really love about this is how you can travel with it – like it says ‘ideal for use at home or away’. Perfect if you travel a lot. So, onto what I think of the product. I have actually used Sudocrem previously, when I was a bit younger and I’m not sure why I ever stopped using it. I have had a few troublesome spots recently, including a very nasty under the skin one on my neck. After doing my usual skincare routine, I covered the blemish in Sudocrem before I went to bed. I didn’t rub it in, I just left it as it was covering the area of concern. I was so pleased to see by the morning it had gone down considerable amounts! Not completely gone, but it was much less irritated and also less noticeable. I was so pleased, that I don’t think I’ll ever use anything else to get rid of those horrible under the skin spots. If you want a quick fix, then I’d highly recommend using Sudocrem! Its so easy to use, and works very quickly on any concern you have. I’m really impressed by this and shall carry on using it for a very long time! 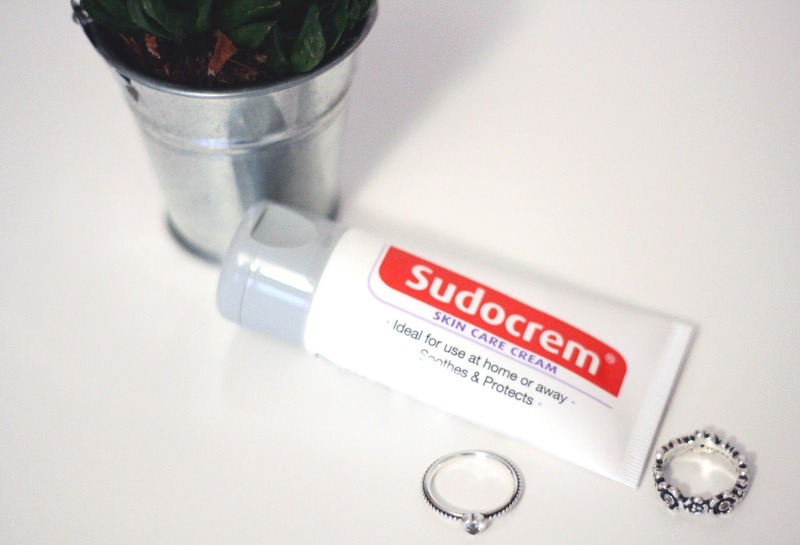 Have you ever tried Sudocrem?